Datrion La’Quell Hendricks was born September 23, 1996 in Muncie, Indiana to Lashea D. Balfour and Steven T. Hendricks. He departed this life on Sunday, March 17, 2019 at home. Datrion was affectionately known by “Day Day”. He was a kind and gentle person who loved his family. Day Day had a heart of gold and was always willing to help anyone in need. His smile and personality could light up a room. He was an active and loving father to his son Jacieon in which they shared a very unique bond. 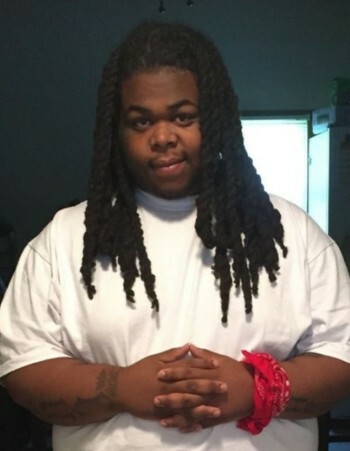 Datrion leaves to cherish his memory a son, Jacieon La’Quell Hendricks; companion, Amani Beard both of Muncie; father, Steven T. (Diana) Hendricks of Lansing, MI; mother, Lashea D. Balfour (Jeroney) of Muncie; brothers, Steven Moore, Donsha Moore Jr., DaVonte Hendricks, DaVeon Hendricks all of Muncie and Steven Hendricks Jr. and Elyjah Hendricks both of Lansing, MI; sister, Natalya Hendricks of Richmond, IN; grandfather, William C. Balfour Sr. Muncie; grandmother, Lisa Hendricks of Muncie; special grandfather, Mike Williams of Muncie; special aunt, Consuela Balfour of Muncie; special friend, Nakedra Williams of Muncie; special brother, Rashawn Benford of Indianapolis; and a host of aunts, uncles, nieces, nephews, cousins and friends. He was preceded in death by his grandparents, Charles and Margaret Jefferson and Garrett Jefferson-Montague.